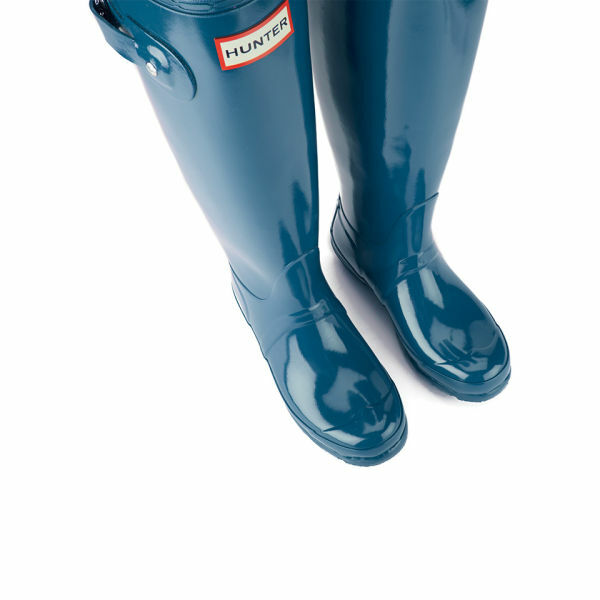 Combining the strength needed for outdoor wear with a classic elegance, Hunter presents their women’s original back adjustable tall gloss wellies. 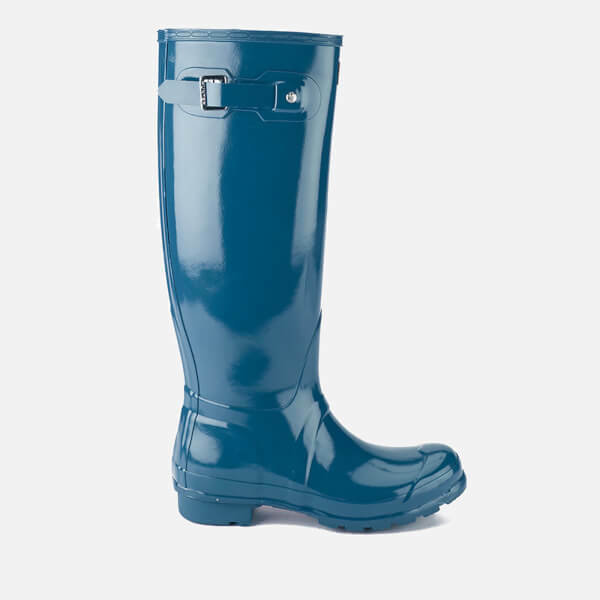 These boots have been expertly handcrafted from glossy blue rubber. 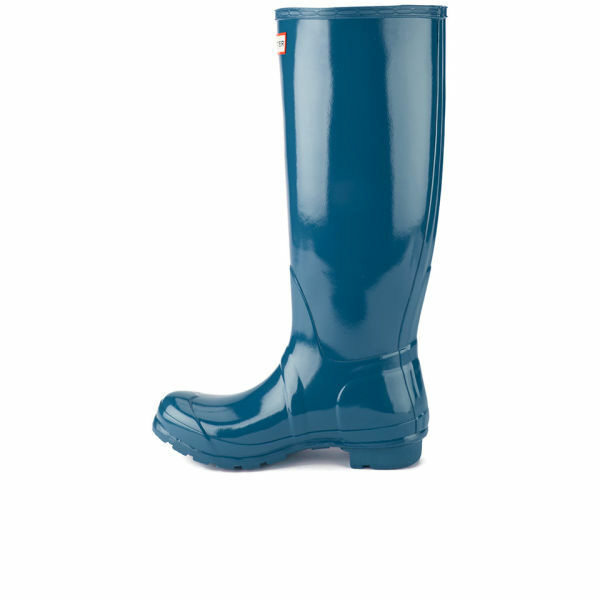 A textile lining and cushioned sponge insole give the tall wellies a luxurious feel. 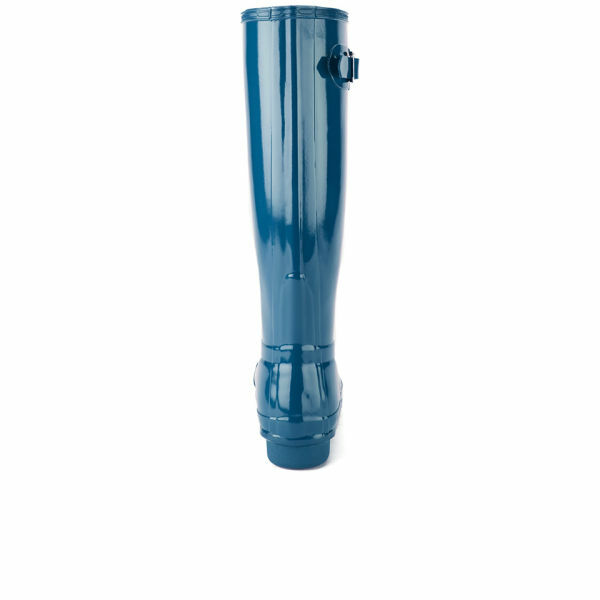 The waterproof rubber and traditional calendared sole allow these boots to be worn in all weathers and an adjustable buckle on the rear of the Hunter wellies ensures a perfect fit. 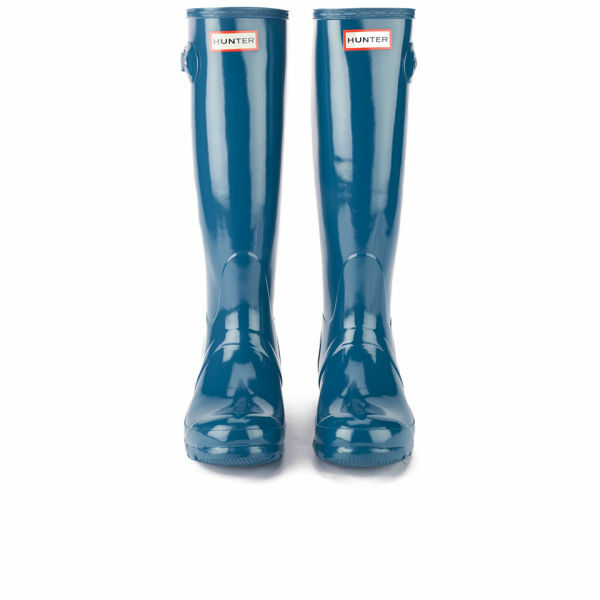 The moulded lines of the wellies are adorned by the Hunter logo.